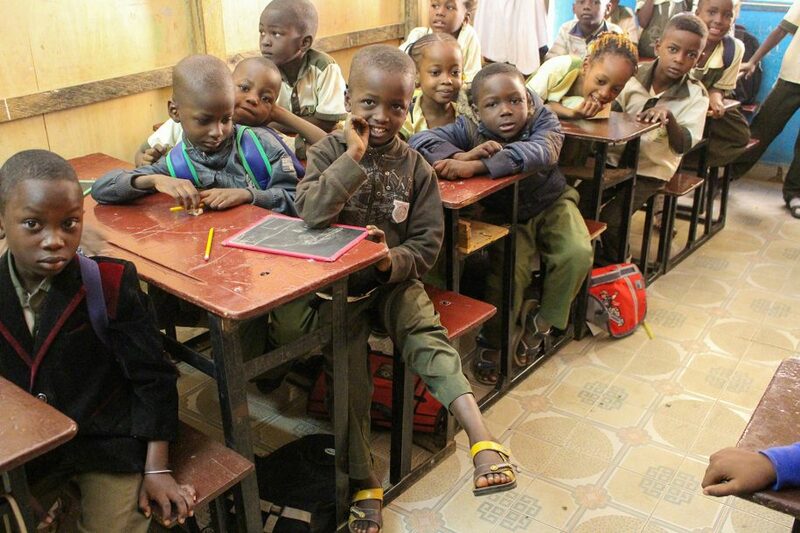 On a hot, hot day in Niamey, Niger, a group of people burst into a classroom full of second graders looking for a little boy named Japhet. “Japhet! Japhet!” the class teacher beamed with excitement. Before he could locate Japhet, all the little kids in the cramped classroom got up from their seats and gave a hearty formal greeting to the visitors, in unison and at attention. “Good morning! We are fine and how are you,” they exclaimed—happy to put their English lessons to good use. The teacher told the children to take their seats as the excitement of seeing cameras and visitors added a buzz to the small classroom. Japhet in his school classroom. The happiest kid in the room was Japhet, because he spotted his father in the crowd. 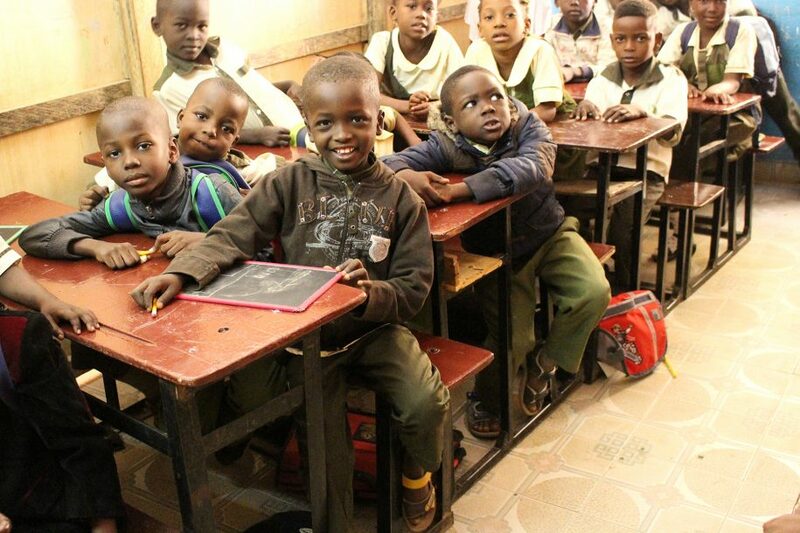 He shared a smile with his father Moussa, and he looked like he had an idea why everyone was in his classroom. The spotlight was on Japhet as all his friends looked at him curiously. 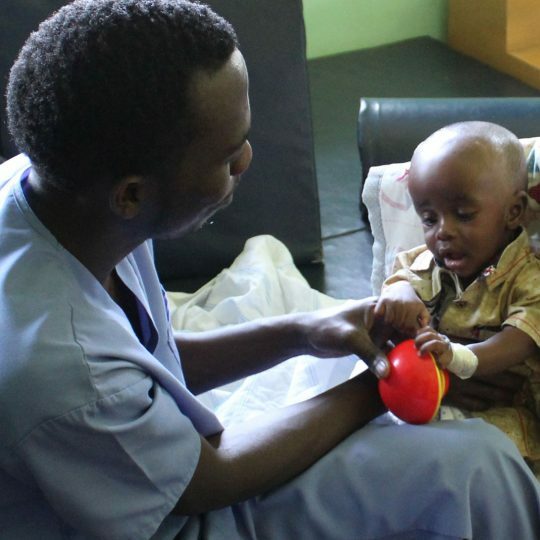 Japhet was born with bilateral clubfoot. This means that both his feet were severely twisted inwards, and if they had not been treated, walking would have been difficult and in some cases, impossible. His story is one of transformation, and he has served as a testimony for the longest time. Moussa had big hopes for his son, but he was depressed initially when Japhet was born with clubfoot. 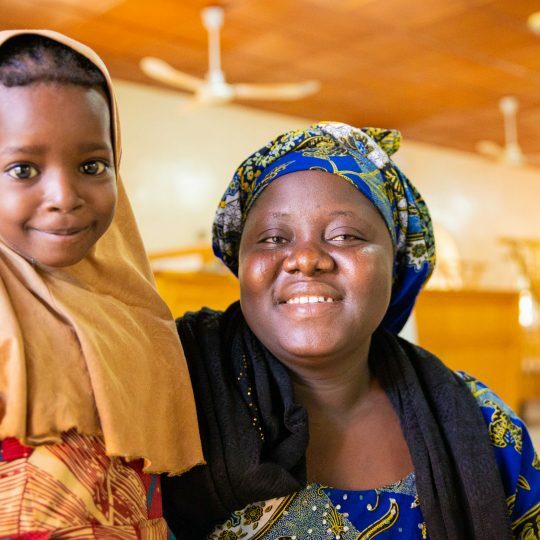 This is because Moussa had never heard or seen clubfoot; he was worried his child would grow up disabled and become a beggar in the streets of Niamey. According to Moussa, the worst part was people coming to his house, not to congratulate him but to confirm the rumors flying around the community that his wife had given birth to a disabled child. For Moussa and Japhet, hope came through the Niger Clubfoot Program where Japhet received the Ponseti treatment. Moussa was dedicated in taking his son for all the appointments, and by faith, he started documenting his son’s journey using a series of photographs. A series showing Japhet’s clubfoot treatment as an infant. As time progressed and Japhet was wearing casts, Moussa also became more interested in the CURE Clubfoot program. He found himself asking questions and trying to find ways he could be a part of this program. 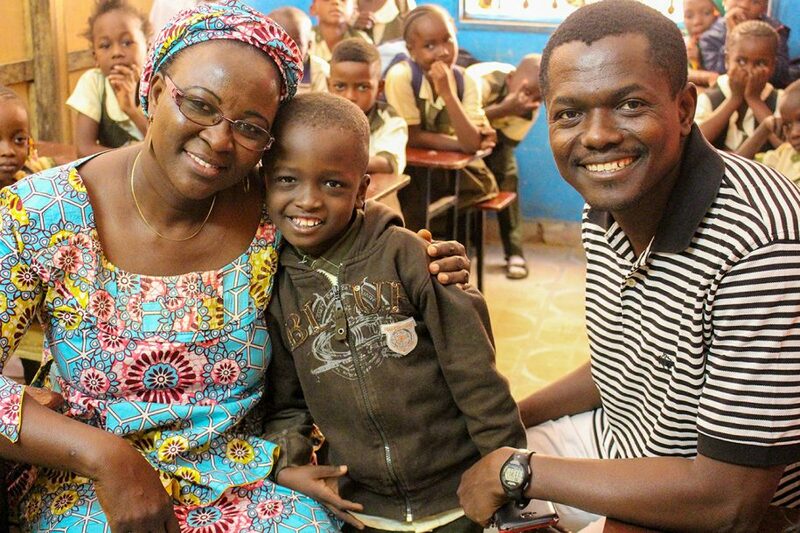 He took part in some of the many counseling programs that were offered by CURE, and he became an official member of the team when he was made the Counseling Coordinator of the Niger Clubfoot Program! His first order of business was to start telling stories of hope to guardians who came to different clinics. He would show them pictures of his own son and show the progress that he was making. Moussa noticed that he was impacting more people by sharing photos of Japhet. He saw mothers stop crying after seeing photos of his son in treatment. As Japhet got older, Moussa started taking him along to different clubfoot clinics as a first-hand testimony. L-R: Saratou, Niger Clubfoot Program Manager, Japhet, and his dad Moussa, Counseling Coordinator for CURE Clubfoot, Niger. It was an activity that brought the two closer together. Japhet knew his feet were special. Moussa believes that sometimes good things come out of what may seem like impossible situations. Moussa is happy with the treatment that they received with CURE and he is proud that his son is a graduate of the Ponseti treatment. His greatest wish is that one day Japhet will be a graduate of school, and that he will defy the odds and be someone that will positively contribute to the economy and not depend on handouts. His son will be able to graduate from school with both feet planted firmly on the ground. This is why this occasion was a special one for Moussa and Japhet. They got to celebrate Japhet being in school with all of Pastor Moussa’s team in the Niger Clubfoot Program. For us, the best part was seeing Japhet in a classroom environment surrounded by all his friends and being the star of the day! 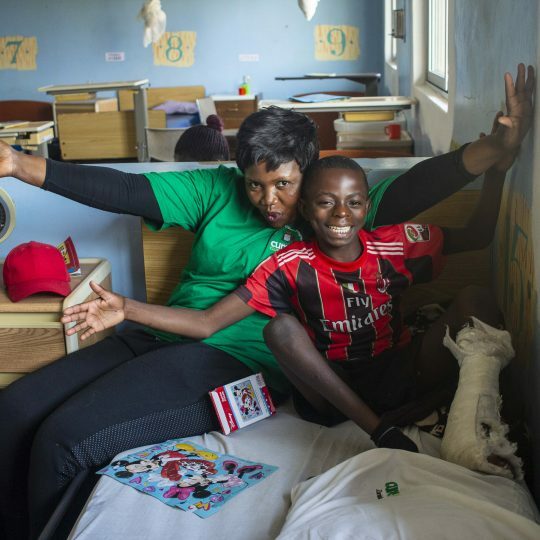 He has an equal shot at an education, in a classroom on the second floor with so many stairs leading up to it—stairs he would not have climbed with clubfoot. It was a chance for us to see how children get along after treatment. 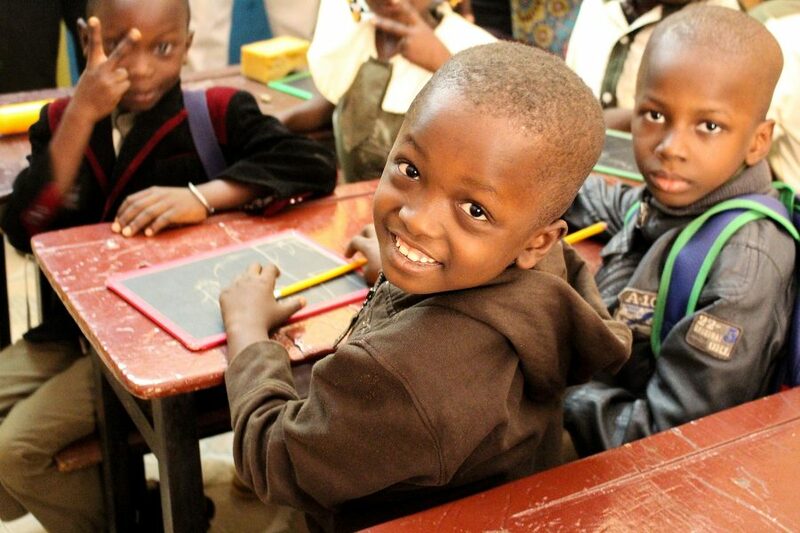 Japhet is a brilliant example of all the good that is happening in Niger! 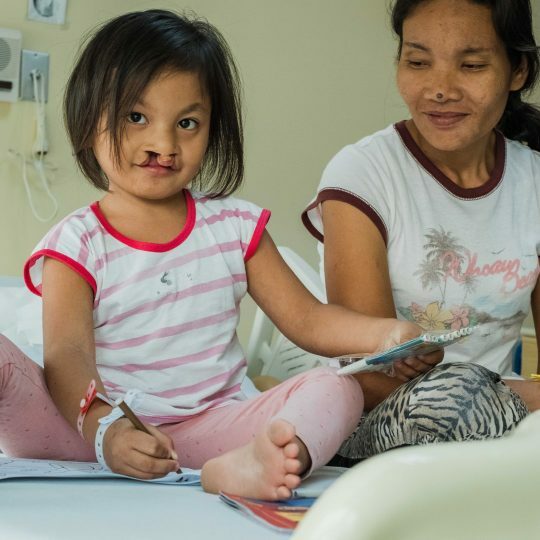 Learn more about clubfoot and how you can get involved at cure.org/clubfoot. 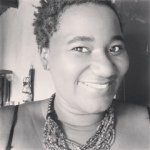 Situmbeko Wambulawae, or Stu, is the Regional Marketing and Communications Officer for CURE's clubfoot program. 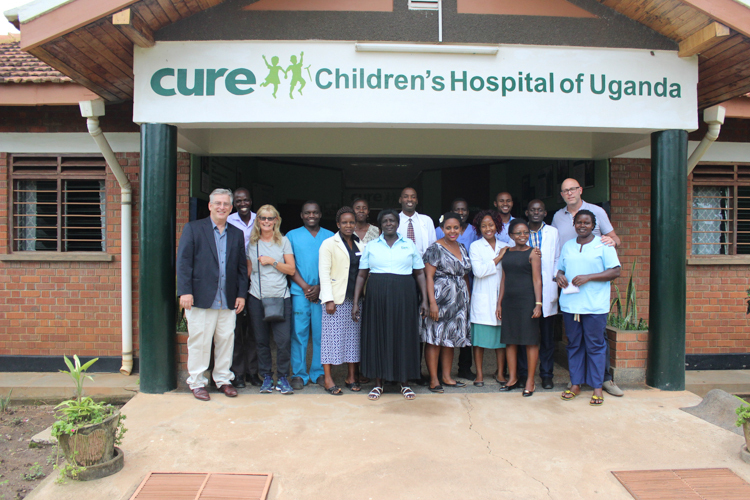 Stu previously served as the CUREkids Coordinator at the Beit CURE International Hospital in Lusaka, Zambia.